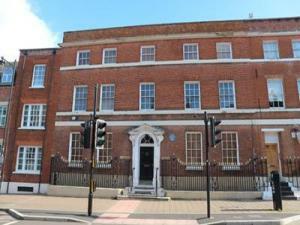 There are many types of pubs for sale in Reading listed on MOVEHUT. You could be looking for a cosy local or a property suitable for large scale catering in Reading. So allow MOVEHUT to assist you in identifying and locating your ideal premises today. You should ask yourself several important questions when searching for pubs for sale in Reading with MOVEHUT. The size of the property you choose to buy is an essential factor to consider. Additionally, you will have to assess whether the type of pub you wish to run would prove popular in the designated location in Reading. When you're sure about these points, let MOVEHUT help you find the perfect pubs for sale in Reading today. Enlisting the services of MOVEHUT during your property search greatly reduces complications whilst buying. With our superb functionality, you will quickly find the Reading property that you're looking for. Here at MOVEHUT, we know how to make your search for pubs for sale as smooth as possible. If you're searching for pubs for sale in Reading, you will need to learn about licensing. Pubs wishing to sell alcohol in Reading must hold a licence. MOVEHUT is the best place online to find pubs for sale in Reading so you could be applying for your licence sooner than you think. You need to make sure you understand the importance of finding the right location for pubs for sale in Reading. For example, you may be looking for country pubs in Reading. The other thing to look out for when searching for pubs for sale is how competitive the market is in the chosen location in Reading. Today's pub goer expects more than a pint and a bag of crisps so you should consider the food factor when buying a pub in Reading. Perhaps, for example, you wish to play on a traditional country pub vibe with classic British dishes. Conversely, you may be planning to attract customers in Reading by offering something different. Thinking about running costs ahead of time can be beneficial while on the search for pubs for sale in Reading. For example, you should consider the impact of business rates on your budget, particularly while you face other startup costs. Having an idea of the impact of costs will help you make an informed choice from MOVEHUT's extensive selection of pubs for sale in Reading. You should be aware that pubs for sale in Reading carry a classification relating to its permitted usage. Pubs in Reading will have the A4 use class type. You will also find that there are certain business uses that this class can be changed to without planning permission.